My baby daughter and I provided the models for this painting.
) paint portraits and my father was an extraordinary craftsman. I attended good schools with strong art programs and drew everyday of my life for over thirty years. My husband and I owned and operated a successful stained glass studio for seven years in Southern California. All that to say that when I had been painting seriously after a few years I came upon some teaching on color that made me realize that I had missed a significant part of an art education. I thought at first – what’s to know about color? Blue and yellow make green. I understood contrast and could put together a strong black and white composition. Color, so I thought, was just kind of like colorizing a black and white photo, in effect. Shadows were just a darker version of the local color. Right? Not right. One evening in the small Northern California town to which we had moved to escape the pressured city life, we walked into a small business that was holding an opening for a local artist. His work was stunning. It was more impressionistic than mine. Even though I admired it I was very comfortable with my tighter style of realism. It wasn’t that aspect that caught my eye. In fact, I wasn’t sure what caught my eye. I just knew that he possessed, artistically, something I didn’t have. There was a maturity and vibrance about his work that was a bit mysterious to me. I wanted that “something” in his work that I did not have, and so I met the artist and asked for lessons. He enthusiastically invited me to a new class he was starting at the community college. 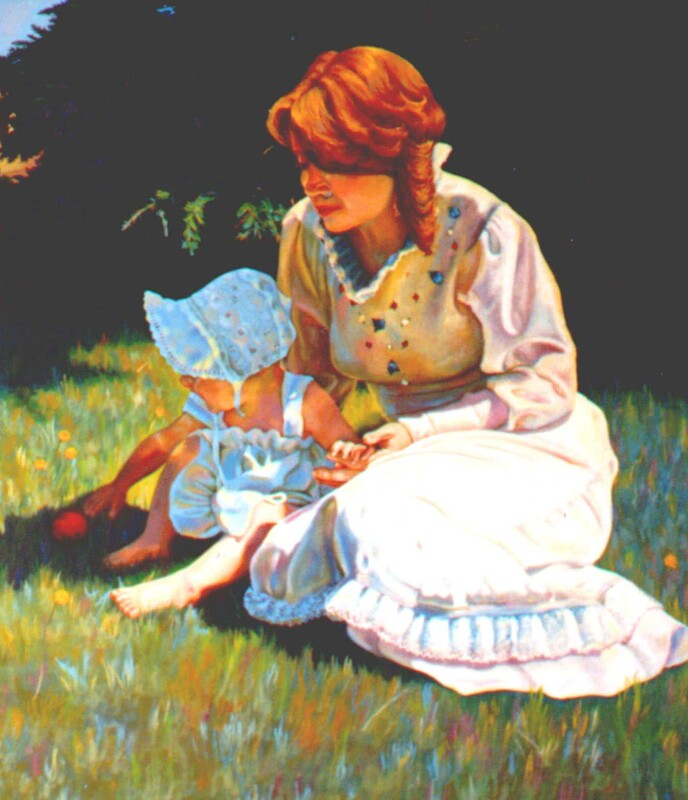 There began color lessons under the tutelage of Jim Faber. It didn’t take me long to hear what that “something” was that my work was missing. It was a knowledge and application of color. Thinking that the color wheel was kind of like learning one’s abc’s, I could not have been more mistaken. Jim started by explaining to us that the world was filled with color and light. And that light has an effect on everything. Even in shadow there is marvelous color. In addition he explained that in light there is all colors (think of a prism) and so that what we know to be true about color (even if we don’t totally see it) we can apply to our paintings. Therefore nothing on our canvas should be a section of one plain color. In everything there is all kinds of colors jumping around. That was a revelation. And that was the beginning.